RAPAPORT... Sales and profit grew at Indian diamond manufacturer Asian Star in the second fiscal quarter amid improved jewelry exports and a strong performance at its Dubai trading unit. 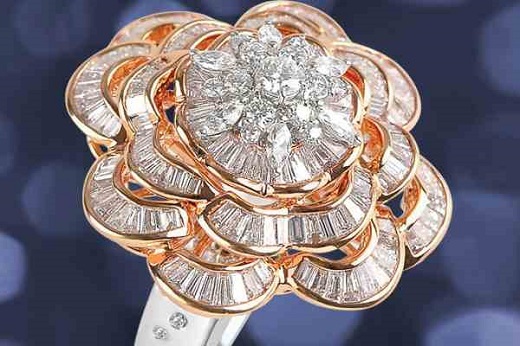 The Mumbai-based group saw strong margins in its jewelry division, especially the export business, Pranav Kapadia, Asian Star’s chief manager for accounts and tax, told Rapaport News. It also enjoyed a robust quarter at its Dubai subsidiary that trades mainly in rough diamonds, Kapadia added. Group revenue rose 16% year on year to INR 10.96 billion ($155.7 million) in the three months ending September 30. Net profit jumped 97% to INR 370.3 million ($5.3 million). “Now we’re focusing more on jewelry operations, and we’re estimating good revenue from [that segment],” Kapadia said, adding that it offered better profitability compared with diamond cutting. Diamond sales remain Asian Star’s largest division, with revenue up 14% to INR 9.43 billion ($133.9 million) for the quarter. Jewelry proceeds also improved 14% to INR 2.09 billion ($29.7 million). Total revenue is less than the sum of those two sales figures, because certain transactions span both segments.